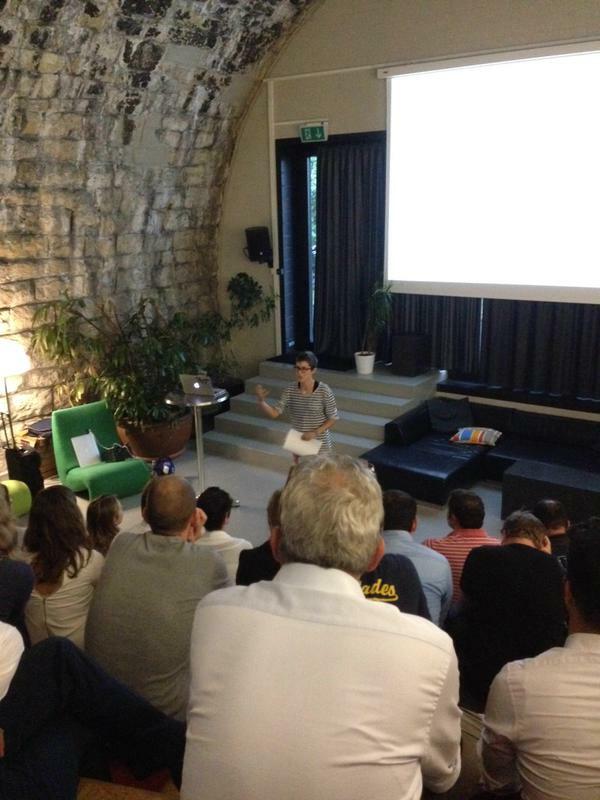 The Zurich web community gathered at the Impact Hub on Monday August 24, 2015 for the third meeting this year. Rahel from the Impact Hub, who generously hosted us this time welcomed our guests and invited all of us to the upcoming opening festival of their new location on September 18, 2015 – make sure you mark your calendar. Our first speaker was Johannes Gees from wemakeit, Switzerland’s biggest crowdfunding platform. He took us on a journey; starting his initial idea, how he managed to get funding himself and gave us a couple of examples of the most prominent projects (like Anna Rossinellis successful project to produce her record, make a movie and finance her US tour. She raised SFr. 52’000 to do just that). Johannes also provided the audience with some stats; their annual revenue is SFr. 10 mio / year, 70% of all projects are successful; so far they had 1’300 funded projects on the platform. One of his key statements was that crowdfunding is not only funding, but also marketing (we’ll get back to that later). Mike Kurt from Ibelieveinyou, the first crowdfunding platform for sport projects presented their platform. The basic idea is pretty much the same as every crowdfunding platform, but they focus on sport projects “only”. They are the only platform in Switzerland, which reaches more than SFr. 1 Mio / year with sport projects. Since they launched in summer 2013 their platform successfully hosted 280 projects, their success rate is 71% and they have some 13’000 registered users. The range of projects is pretty amazing, the most prominent project on their platform until now is Kariem Husseins' s campaign to crowdfund a preparation camp in South Africa. Mike confirmed Johannes' statement that crowdfunding is not only funding, but also marketing. He added that sport projects mainly cater to a regional crowd. Robert Plantak from the youngest platform (it’s yet to be properly launched) presented Crowdhouse. He informed us about their project to crowdfund property ownership. He and the rest of the team worked in the real estate business for quite some time already so they clearly know their stuff, “all we do is take our business online” was one of his key quotes. The team strongly believes that there is a market in Switzerland for accessible (low minimal investment), lucrative (profit estimate from rental income of 4 – 6% p.a) and rock solid (they only provide the platform, all transactions are done via escrow, all owners are registered at the land register) crowdfunded real estate ownership. Robert showed the teams expertise and walked the spectators through the steps of a deal. One of the key learnings was that Crowdhouse “only” offers the platform and does the matchmaking between potential sellers and buyers; all legal and financial aspects of a deal are done directly between these parties and Crowdhouse has no involvement whatsoever. The official program of the evening closed off with a lively question and answers session and some serious networking. We hope you liked the event and will keep you posted with the details of the upcoming 4th Web Monday Zurich as soon as they are available – stay tuned!